The best baby gifts and baby shower gift ideas all in one place! Is this the first time you are looking for a present for a newborn and you do not know what a family with a little one wants and needs? Do you want to give something really thoughtful and unique? Do you want to get creative and make a homemade present for the new arrival? Are you overwhelmed by the vast offerings on commercial websites and can't decide what to get? Are you a grandparent and not up to date with today's baby items and gear? Do you need a present for a family that has everything? Are you looking for just a little something for the new family? Do you want to pimp your present with a unique gift wrap and a nice, meaningful congratulations card message? Are you expecting your first patter of tiny feet (congrats!) and are on the lookout for essential gear and must-haves for your little ones registry? Are you searching for quotes and verses, inspirational poems and cute sayings to write in your baby card, into your scrapbook or to the grandparents-to-be? There's nothing quite so sweet as tiny little baby feet! 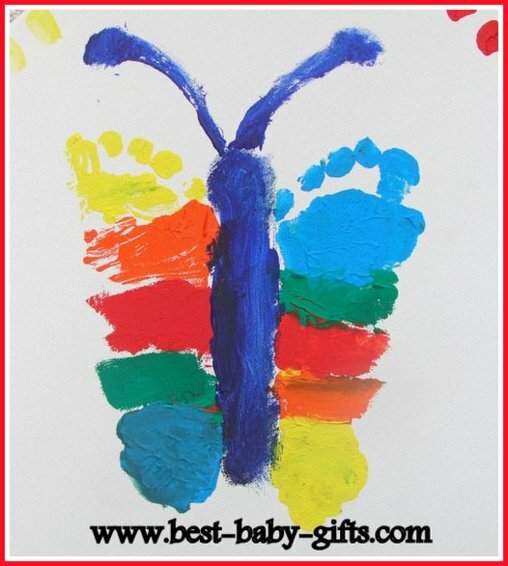 At Best-Baby-Gifts I can help you with all of the above and even more. Now it's really easy to find the perfect present for a new arrival! I'm a mom of 3 kids, multiple aunt and great-aunt with a large circle of friends. I introduce you to the latest novelties for little ones as well as well-tried products and also amazing must-haves you didn't know existed. 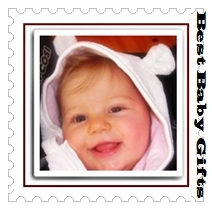 My page shows you newborn gift ideas for all occasions and at every price level. The recommendations are grouped in categories such as luxury, practical, expensive, inexpensive, organic, personalized, and many more. Not to forget my suggestions for newborn twins and multiples. Simply have a look at the navigation bar or use my sitemap and start to browse. For your convenience, many of the items and gear presented can be easily ordered online. My gift ideas for the new family are complemented by messages and sample sentences to write in your congratulations card. You are also welcome to browse my large collection of newborn quotes, baby poems - of which some even are written by myself - and scrapbook verses. There's also a special section consisting of grandparent quotes, grandchildren poems and funny as well as inspiring grandma sayings. And just recently I also added a page featuring grandpa quotes. 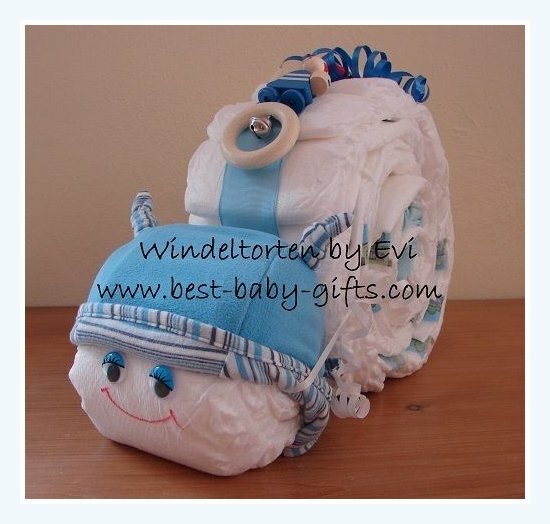 I also show you how to creatively wrap your newborn present and how to nicely pimp up a 'just diapers' gift. I made this cute diaper snail and you can, too! If you are a creative person - and even if you are not! - have a look at my DIY creations. I like to make all kinds of little crafts, diaper presents and newborn gift baskets and in fact, I even have a small diaper cakes business. You'll get to my tutorials by clicking on the diaper snail photo above. New parents searching for the latest must-haves and gear, for award winning infant toys, for Christmas and Easter treats for the little one as well as for 1st birthday presents will get helpful information here. I also have wonderful poems and quotes for your birth announcement and your scrapbooks. New parents will also appreciate my gifts from baby ideas listing unique birthday and Christmas treats from their little one for mummy, daddy, grandma, grandpa, other relatives and friends. Thank you for visiting Best Baby Gifts. I hope you have as much fun browsing through my pages as I have when writing them! If you want to learn more about me and my lovely family, please visit my 'about me' page.